Although spring is really pushing through these days with the snow melting and the birds singing mighty glory to the morning, the wet drizzly stuff that is hanging over our heads call for more warm and hearty foods no? This post is about a bunch of stuff: recipes by others that I tried, visits to our local food providers, exploring new tools, tips on this and that… It’s really about a simple, joyful and ordinary moments in my little world. I was playing in the kitchen this past weekend (as I normally do since it seems obvious I really have nothing better to do in life than to cook, read about cooking, dream about cooking and write on Facebook & in my blog about cooking), trying to maximize the use of my pantry items before going grocery shopping. 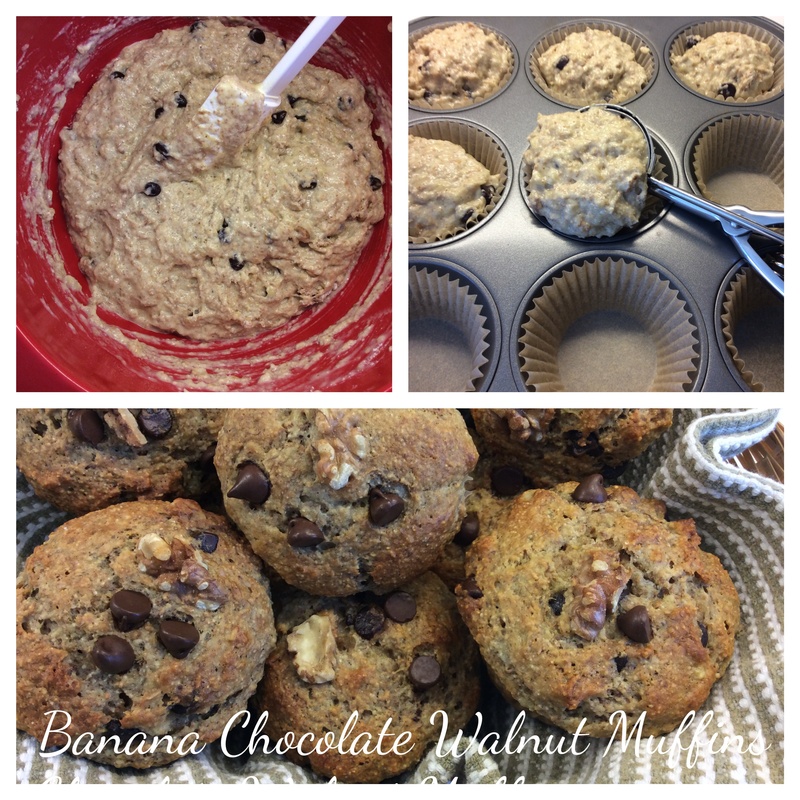 There were ripe bananas on the counter and fresh walnuts I wanted to use up but I was out of milk, yogurt and buttermilk. All I had on hand was half a tub of sour cream: could this work? I swaped the buttermilk for the exact same measurement of sour cream in my Banana Chocolate Chip muffins and it sure did work!!! Crispy tops and moist, tender centers, just like we love them. Experiment succesful, yay! After such a long walk, Sunday dinner was kept simple as I wasn’t looking for anything requiring too much prep time. Nothing fancy yet über comforting: roasted chicken (lemon, honey, rosemary, garlic) with mashed potatoes, roasted carrots, roasted spaghetti squash, pan gravy and coleslaw. Yup, you have guessed it, we are huge fans of roasted everything! Throw in a little glass of vino and voilà! A perfect Sunday dinner! Continuing on the Ricardo love fest bandwagon, I made his slow cooker milk rice pudding from his book: Ricardo’s Slow Cooker and this dish also turned out great. Two for two Mr. Ricardo Larrivée! Although I did add my own footprint by throwing in raisins and cinnamon which I think brought it up a notch. All the recipes I have tried from this book on slow cooking have been successful. I find slow cooking a lot more complex than I ever imagined: the right proportion of liquid and aromatics to meat/legumes/vegetables definitely impacts the end results. I have been left more often than none with watered down bland meals in the past… Ricardo’s book has become my «go to» resource when I feel like trying something new in the slow cooker. What a crazy day this turned to be with both my slow cooker and pressure cooker going at the same time! My cooking day didn’t end there: a huge batch of comfy beef vegetable soup was concocted using ground beef, a rich beef stock made a while back and the last jar of homemade tomato juice from last August canning extravaganza. The soup started with the usual trinity: onions, celery and carrots to which were added zucchinis & red peppers. The taste profile had Italian undertones thanks to garlic, oregano and basil. But the umami of this dish was reached by adding a generous splash of balsamic and red wine vinegars as well as some sumac. To make this soup nearly stew like, a generous cup of pasta was added near the end. Sumac is new to my spice pantry; is broadly used in Middle Eastern kitchens. It has a tart citrusy flavour which begs to be discovered and is not «hot» spicy at all. I have started adding a splash of vinegar (mostly balsamic) to soups and pasta sauces recently, after reading somewhere that it is that little secret oomph thingy that make people ask what is THAT flavour? It fills the need for the acid notes in a recipe. Tip on herb storage: who doesn’t love to cook with fresh herbs? Yet most spoil so quickly… My mom discovered this cool herb saving gadget that works beautifully and I bought it upon her recommendation. 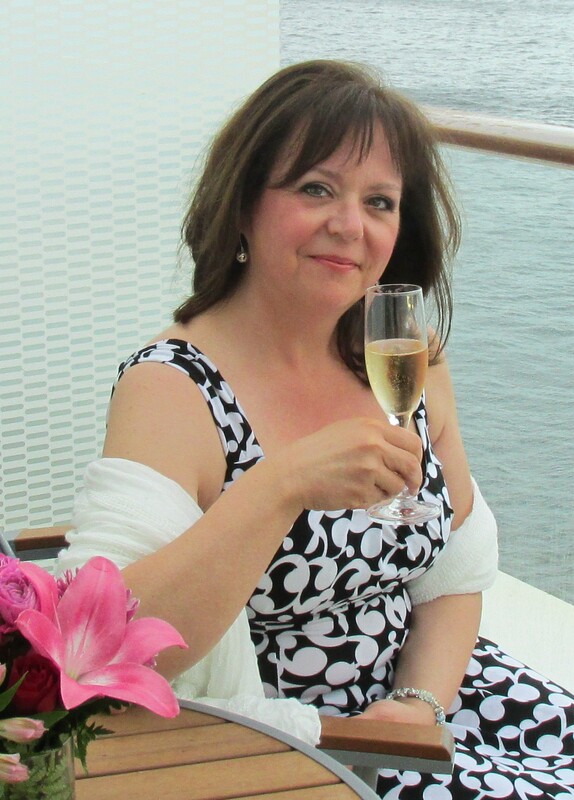 My mom has been my first mentor in the kitchen and still rocks our world when she cooks for us! So when she tells me something, I listen LOL! And this gadget is fantastic!!! Especially for delicate herbs. 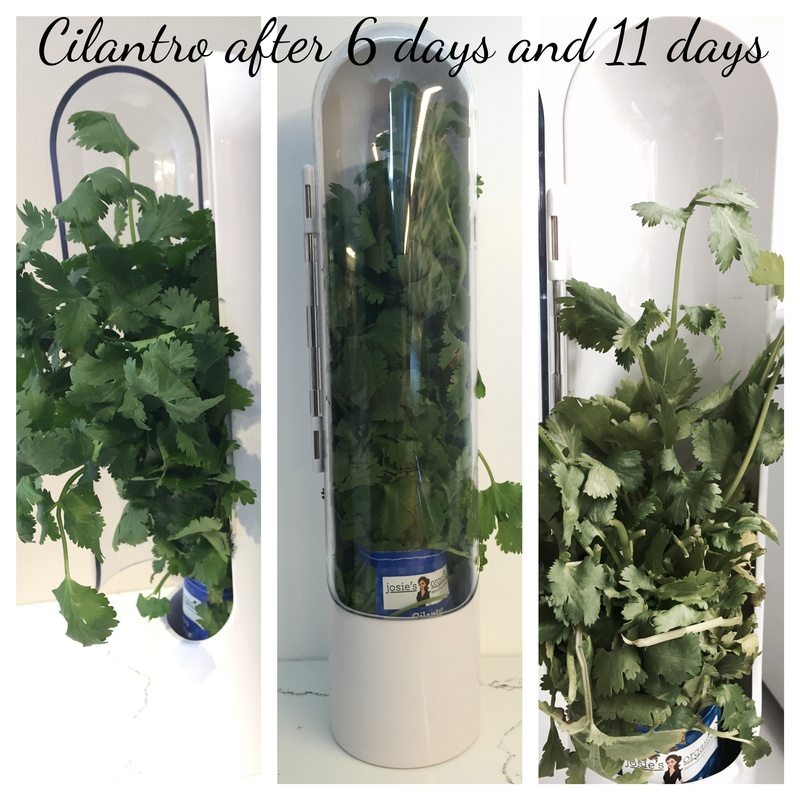 The pictures show cilantro after 6 days in the fridge and then again after 11 days in total!!! Impressive :). I bought mine at Zone on Sussex Drive but have seen it in many kitchen emporiums. It takes very little room in the fridge when it is closed. Brand name is Prepara Kitchen Tools. This gadget is perfect for delicate herbs such as cilantro, oregano, basil, tarragon etc. The downside is that it cannot accommodate thick bunches. 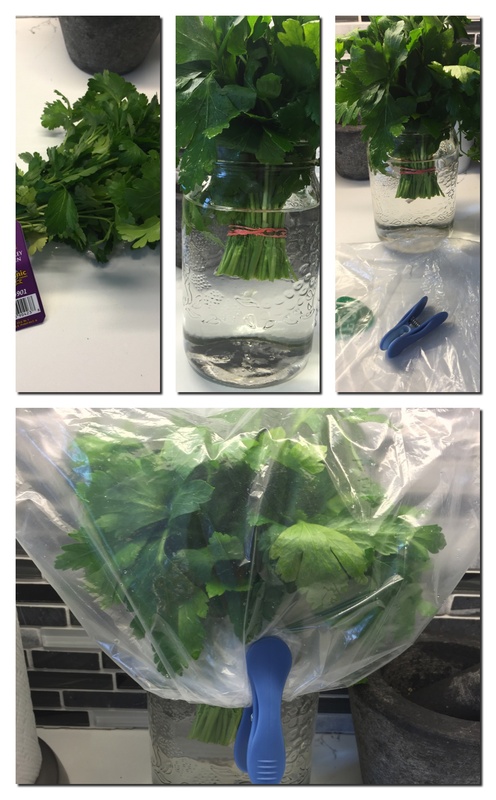 And although parsley does very well in it, it is difficult to squeeze an entire bunch in the tube. So for sturdier herbs such as parsley, I make my own mini refrigerator greenhouse. In the pictures below, the parsley on the counter is 2 weeks old. To make a herb greenhouse, all you need is a glass jar, water and a clip of some sort. With scissors, trim the stems a bit just like you would fresh cut flowers. Keeping the bunch tied, rinse well under cold water and get rid of any spoiled bits and leaves (if any). Shake the excess water and set in the jar. Add enough water to cover the stems. Use the bag it came in to cover up leaving air in. Keep in fridge and pull branches as needed. I changed the water once and I find it amazing at how long the fresh herbs have lasted. My two days of kitchen projects delivered great results: delicious meals, snacks and a fridge full of leftovers to make the working week easier to handle! I managed to use up some pantry items before the end of their shelf life, discovered that sour cream can replace dairy in a muffin recipe and that sumac adds a wonderful citrus note to a soup. I got to explore the various uses of my pressure cooker too while trying a brand new recipe created by someone else!